Step one is complete: you own a tractor. Now you are thinking how can I use it to get work done quicker and more efficient. Tractor attachments and accessories come to mind but which ones do you need? A tractor with the right attachment can be extremely handy in various situations. A tractor is power-packed and delivers outstanding horsepower, which means that it can easily drag or push around heavy objects without stressing the engine. Anyone who owns a tractor would certainly want to use it in more ways than one. It helps you lower your expenses by replacing various additional machines and equipment. Are you wondering how that is possible? Well, tractors these days can come with multiple tractor attachments and tractor accessories. You can get a tractor upgrade that will be a literal lifesaver in many ways. Your tractor can be so much more with simple tractor upgrades available in the market. 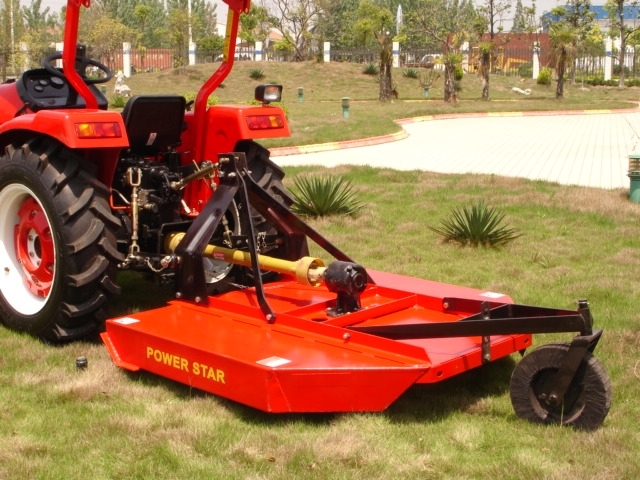 Tractor accessories mostly come with general specifications that can be attached to any tractor without difficulties. Since these attachments are mostly connected by a latch or a hook, you do not need to worry about your tractor model or what would actually fit. One of your concerns may be how to store the tractor and its accessories during the winter months to avoid rust and breakdown. When you need to cut a field, nothing does the job like a brush hog. If you do not know what a brush hog is, picture a large lawnmower that attaches to the back of a tractor. The blades are powered by the tractor. If you own a large field, then you know the amount of hard work that would be required to cut it with a small lawnmower. Now that can be a nightmare, considering the number of days it would take to complete the task. However, if you use a brush hog to mow your grass, it would take only a couple of hours to complete the task. 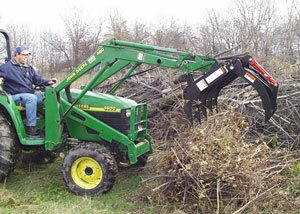 Brush hogs have a wider reach compared to the lawn mower and are powered by the tractor itself. This means that it won’t be chocked by excess grass, which is quite common with lawnmowers. Secondly, you do not have to physically walk around the brush hog, which is quite tiring in case of lawnmowers. You simply need to attach it to your regular tractor and drive away, mowing all the excess grass without worries. A disk is a metal frame with several “disks” around 14-16 inches in diameter attached to the bottom of it. The frame will sometimes have weights on it to help the disk dig into the ground. Disks are extremely helpful if you are looking to plow the land for multiple plantations. It is quite efficient compared to a single plow, which can only give you one plantation dig site at a time. With a disk, you can have multiple plows in a single ride. Also called a plow. There is also a “turning plow” that is used to turn the soil over. Plows have been used for several thousand years. Their main purpose is to break the soil open so seeds can be planted. Now, this unique piece of machinery can be a must own for enthusiast farmers who need to turn the soil repeatedly to ensure the seeds are evenly planted in the land. The benefit of a turning plow is that you can plant seeds on a massive scale, which would otherwise take a long time. Turning plow attached at the back of the tractor or even at the front, and can turn the soil for a perfect blend. The harvest ratio of a turning plow is quite accurate and will give you the results you are looking for. When it comes to moving stuff like tree limbs, nothing beats a grapple. What it would take someone days to do by hand, a tractor with a grapple can do in a few hours. Large properties surrounded by trees may often face heavy and large obstacles that won’t allow you to work at your own pace. For such cases, you might need to call for external help to remove a large log or a rock. However, with a grapple, you can take care of the heavy lifting yourself. Some of these attachments will be expensive, the last thing you want is for this new equipment to break in the middle of a task. Tractor Protect will cover the cost of replacing your attachments with the platinum endorsement which is only $49 per year. If you already have tractor insurance through Tractor Protect then you can call in to add the platinum endorsement onto your policy. Give us a call at 1-855-385-4226 and one of our tractor professionals will be able to help. Interested in protecting your tractor? Visit TractorProtect.com to purchase it now.